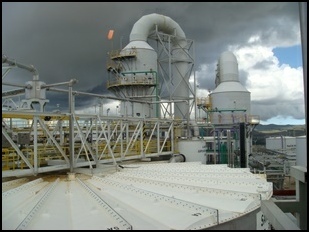 The Acidification Volatilization Reabsorption (AVR) cyanide recovery process has been practiced worldwide for decades. 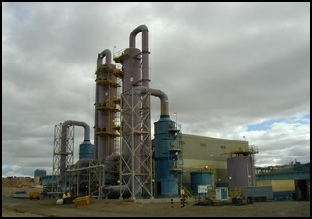 Applicable to leach solutions containing relatively high concentrations of cyanide, the process can be an economic means of recovering cyanide and reducing downstream cyanide destruction costs. 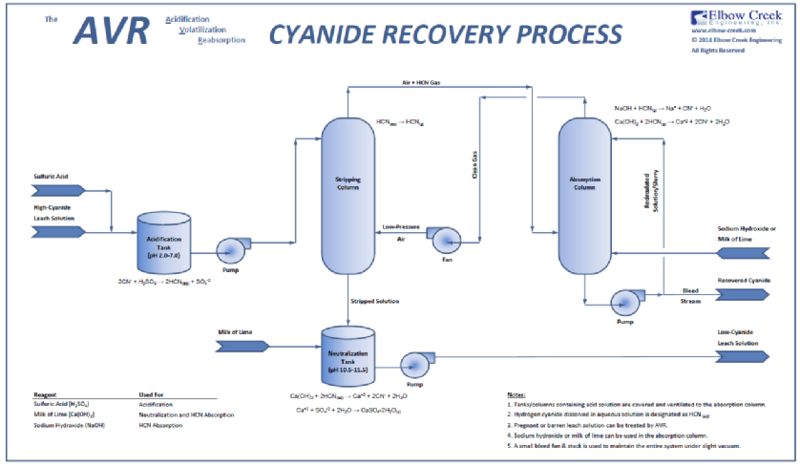 If your upcoming project or existing operation has more than 300 mg/L WAD cyanide in the tailings stream, cyanide recovery may be a viable alternative. In many cases, cyanide can be recovered for less than the price of newly purchased NaCN, plus downstream cyanide destruction costs are reduced or avoided. 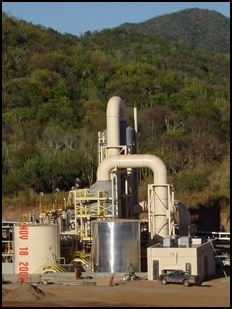 Read more about the cyanide recovery process in operation at the Cerro Vanguardia site in Cyanide Recovery Practice at Cerro Vanguardia. 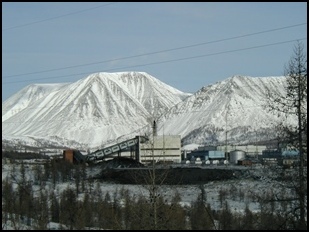 Elbow Creek has been involved in research related to the regeneration and recovery of cyanide from thiocyanate (SCN). The process may be applicable to streams containing greater than about 5 g/L thiocyanate. Read more about regenerating cyanide from thiocyanate in Processes for the Regeneration of Cyanide from Thiocyanate.